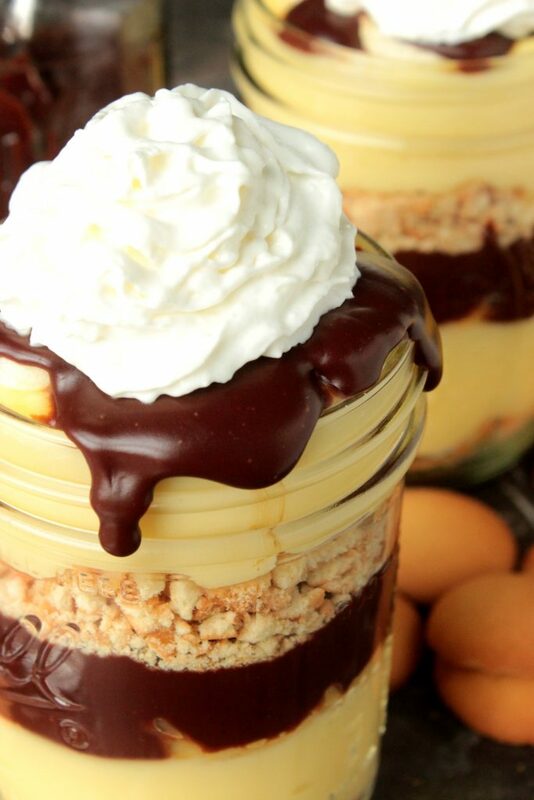 Banana Pudding and Chocolate go hand in hand. 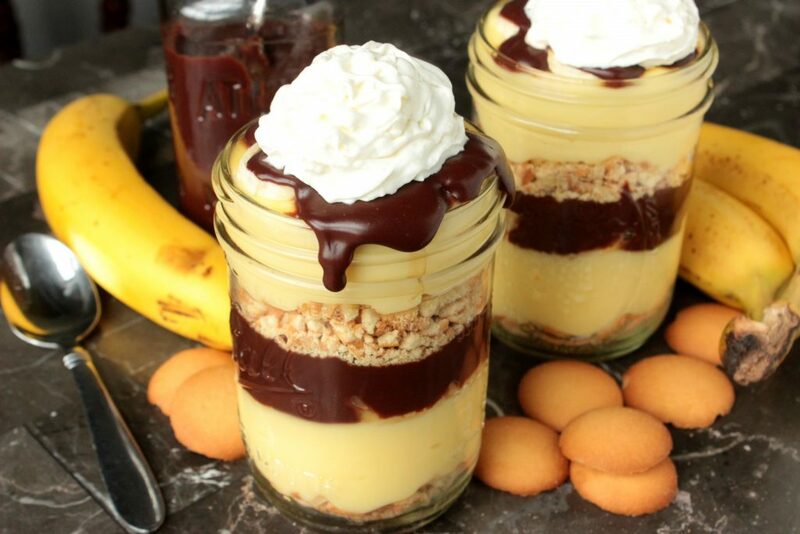 These easy Chocolate Banana Pudding Parfaits are made up of layers of homemade banana pudding, homemade chocolate ganache and crushed vanilla cookies. This recipe was created for Dixie Crystals by BigBear’sWife, post and words written are 100% mine as always! You know how sometimes you make a recipe and it just turns out more amazing that you thought it was going to? This recipe is one of those! 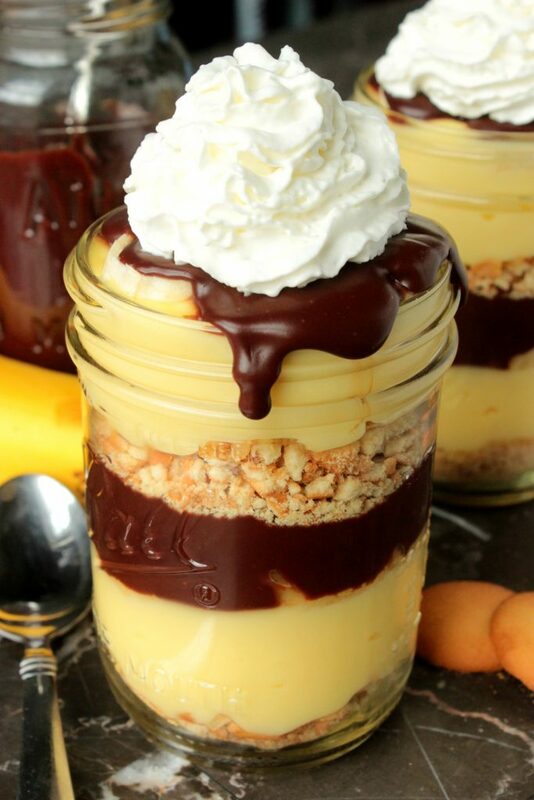 I mean, come on, I knew that chocolate and banana would go perfectly together but I wasn’t prepared for how much I was going to love these Mini Chocolate Banana Pudding Parfaits. 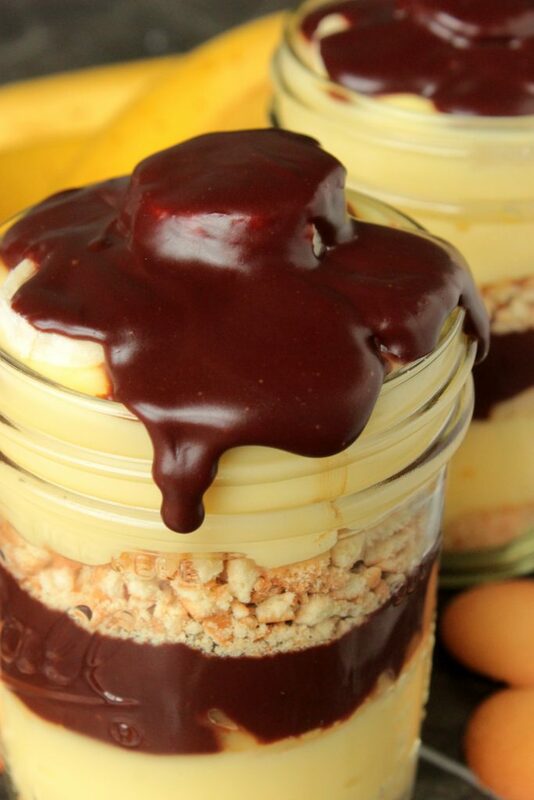 Homemade banana pudding, covered in homemade chocolate ganache? Oh heaven, I tell ya, heaven! As soon as my spoon went though that chocolate ganache and scooped up a big spoonful of that banana pudding I knew this dessert was going to be a winner. These Mini Chocolate Banana Pudding Parfaits kind of remind me of the no bake eclair desserts that I love to make. I normally make those with pudding, chocolate frosting and graham crackers, so I suppose that they are indeed similar. Maybe that’s why I love these little desserts so much. Oh and they’re in individual servings, perfect for the dessert lover that doesn’t want to share! However, you can totally make this in a giant bowl, casserole dish or trifle dish if you wanted to take this to a cook out or a party! 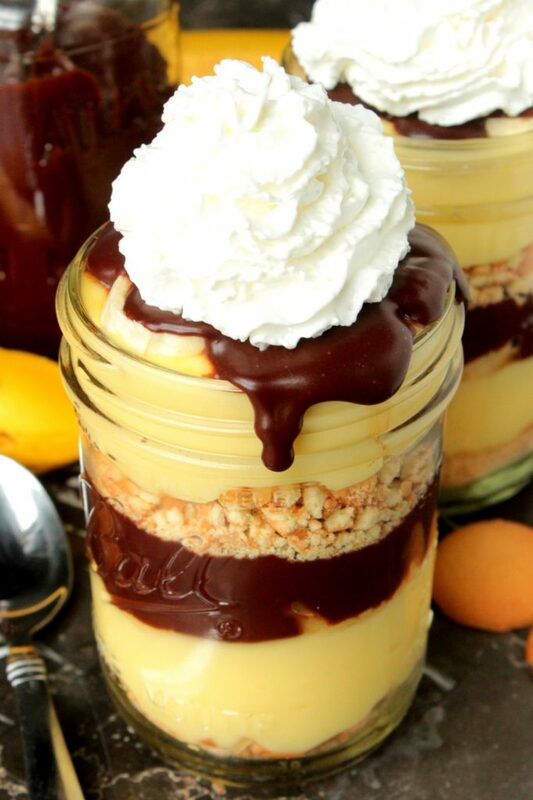 I bet you’d be the talk of the event if you showed up with this Chocolate Banana Pudding Parfait dessert! I know I would be bragging about you! Also, no….you don’t need to top these with whipped cream but I mean, who doesn’t want their dessert topped with whipped cream haha. Just do it, you’ll love it! Looks super yum! Thanks for all the great recipes! Oh girl, it’s like you are in my head knowing JUST what I want to eat! YUM! Those parfaits are calling my name! I’d like that RIGHT NOW : ) This dessert is right up my alley! These look amazing! My hubby would love to come home to these, too! My kids would be all over these parfaits! If I could reach through my computer screen and grab one (or three) of these, I definitely would! They look utterly delicious!! Wow, love those layers! These are calling my name! These will be a hit with my family! So delicious! That drizzle of chocolate on top sold me! This looks so mouth watering! Delicious..! this is one of my favorite recipe and your mini chocolate banana pudding looks so yummy and creamy, i can’t wait make it. Thanks for sharing and keep shared your innovative recipes…. !